Who doesn’t love a good sunset? The sun gently dropping off the edge of the world, leaving behind an ethereal shadow of rich reds and oranges soaked up and reflected by sheets of fluffy clouds, throwing everything else into dramatic silhouette. It’s got romance, it’s got theatre and, no matter how many times we’ve seen it all before, it always stops us in our tracks to gawp for just a couple of seconds. Asia is a place of particularly magical sunsets (perhaps because the sun is actually out quite a lot of the time, unlike here) and there are some that you simply cannot miss. 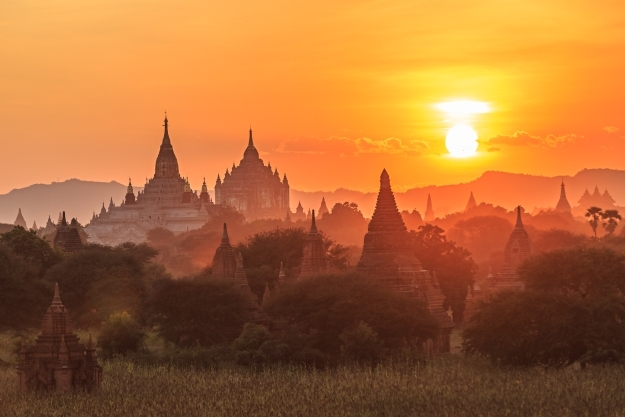 So, prepare to have your breath taken by the beauty of the world as we look at Wendy Wu Tours’ top 5 Asia sunsets! 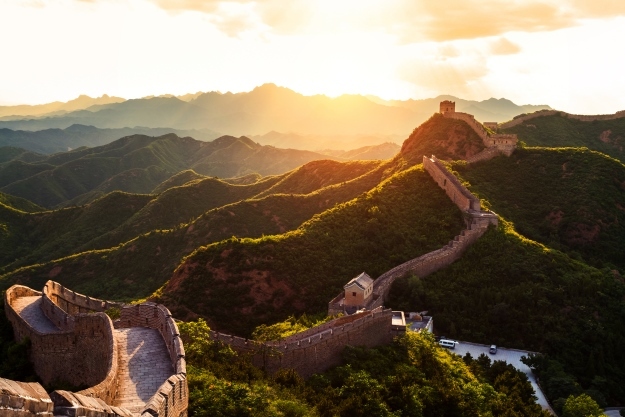 No holiday to China would be complete without a trip to the Great Wall, and the Simatai section is considered by many to be the Great Wall at its best. Draped over mountainous terrain, the wall undulates over steep and dramatic landscapes, high above the lush valleys that fall away on either side. 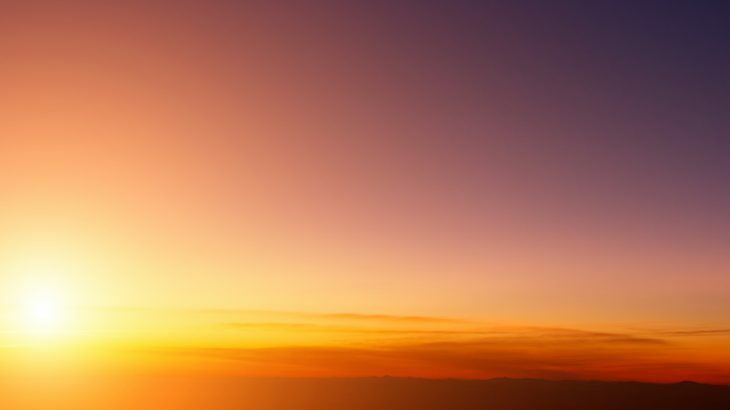 Finding yourself in one of the towers on a high pass as the sun drops away is truly magical. You’ll be able to make out the dramatic course of the wall into the distance in both directions, silhouetted starkly against the intense reds of the sky. 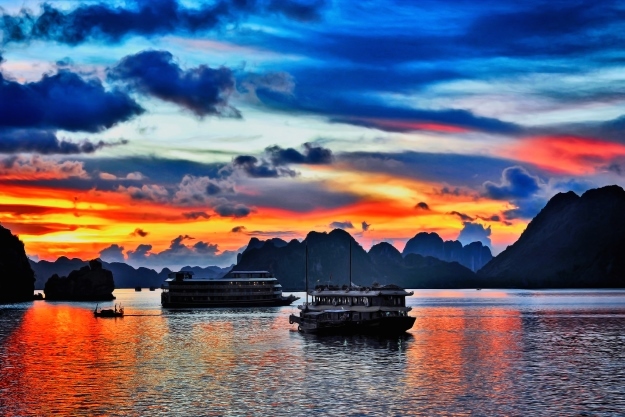 The best place to experience a Halong Bay sunset is on a traditional wooden junk boat out on the water, floating amongst the karst pinnacles and islets for which the bay is so famous. Just sit back and relax on deck, drink in hand, and admire as the light of the setting sun throws these jagged formations into profile and the calm waters reflect back the fiery colours of the sun’s dying rays. Perfection. 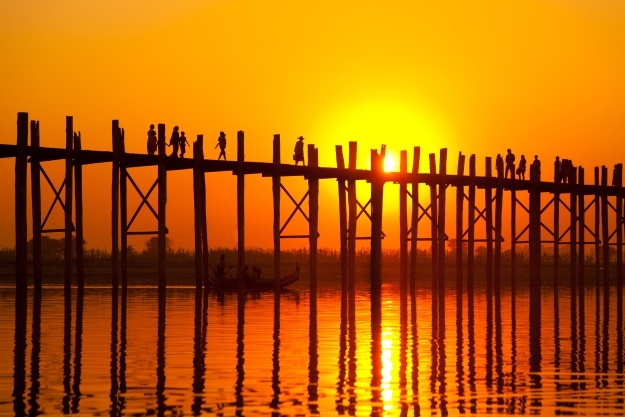 The world’s longest teak wood bridge U Bein, built in the 1850s from wood recycled from the old palace of Amarapura, is one of Burma’s most photogenic sights, whatever time of day you visit. The sun sets behind the hills to west, using its final rays to create spectacular reflections and swirling colours in the water, casting the bridge into sharp relief. It’s about this time that locals start to make their way home across the water, adding to the ambience of the scene. It is best viewed from a boat on the water. 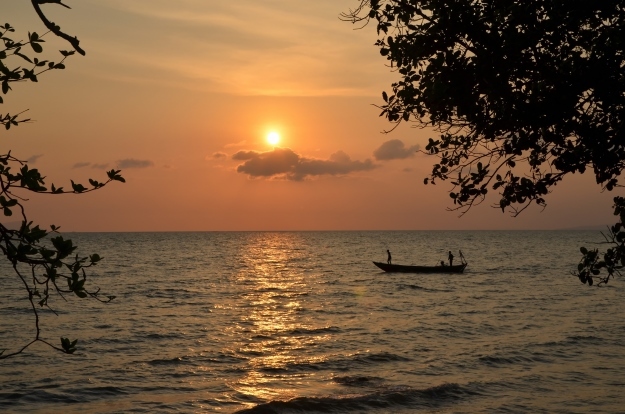 The unassuming little seaside town of Kep was once the beach destination of choice for Cambodia’s French elite – a legacy showcased by the many ghostly shells of Modernist colonial mansions in the heart of town. The sand here is the locals’ beach of choice at the weekends, but during the week it’s almost empty. Sunsets here are long and lazy, the burning red and orange increasingly vivid before the sun drops into the sea. Grab an Angkor beer, find some sand or a spot on the sea wall and languish in it! Mount Fuji is Japan’s most iconic sight and the most iconic vista on our Japan tours. It’s perfectly symmetrical beauty has long inspired poets and artists. At it’s foot, are the spectacular Fuji Five Lakes and that’s where Kawaguchiko comes in – the largest lake in the region, it’s waters often perfectly reflects Fuji’s cone. 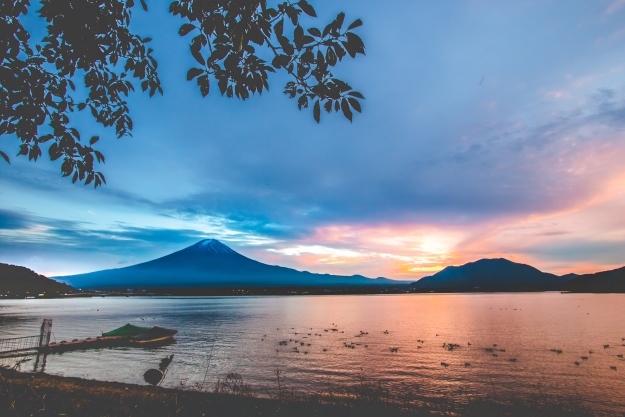 Find yourself a spot on the lake’s northern shore and you’ll see Fuji bathed in the red and orange tones of the setting sun and backed by a darkening sky, the reflection giving you twice the fun! As we are all already admiring these beautiful images, we should probably just mention quickly our favourite spots in Asia for sunrise. 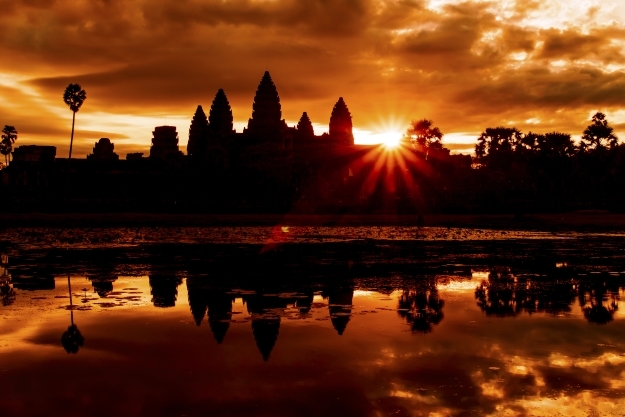 …whilst the sunrise behind Angkor Wat giving spectacular silhouetting. 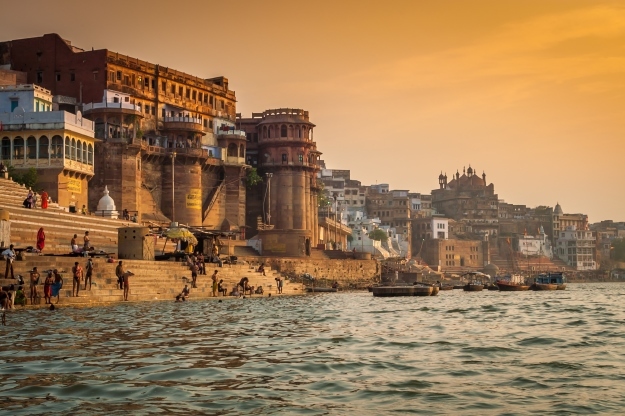 …and in Varanasi, the rising of the sun brings people to the river-front ghats to start their day with their ablutions in the sacred waters of the Ganges. 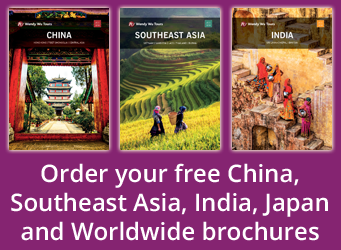 Explore the best of Asia with the Asia experts, Wendy Wu Tours. Our fully inclusive, escorted tours to Asia visit both the major sights and all of the top sunset spots about for an unforgettable holiday. 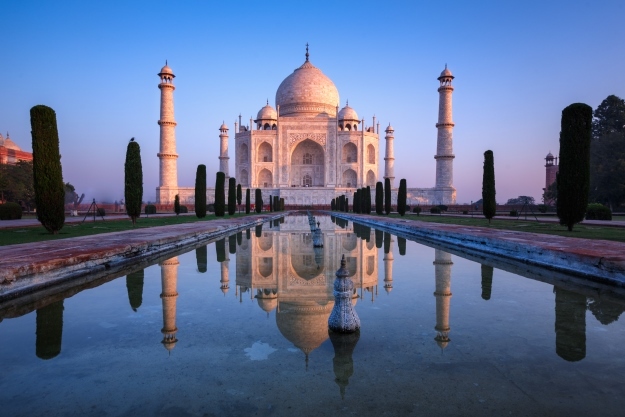 With Asia Inspirations, tailormade travel by Wendy Wu Tours, we can work with you to create a completely bespoke itinerary to anywhere in Asia. General sunsets, top 5, top things to see, travel, wendy wu tours. permalink.